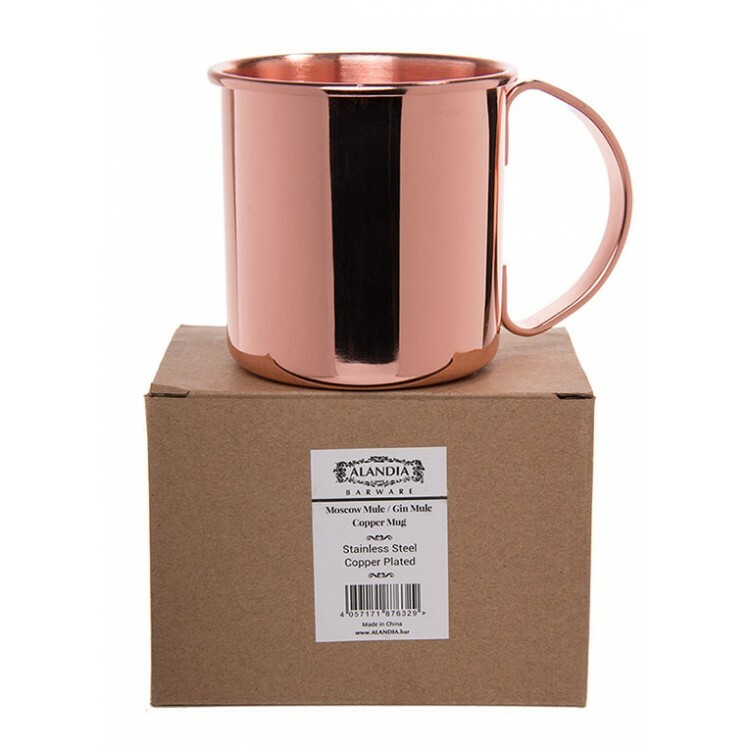 Mix up a classic Gin Mule, Moscow Mule or Gin & Tonic at home in this bright and shiny copper mug! 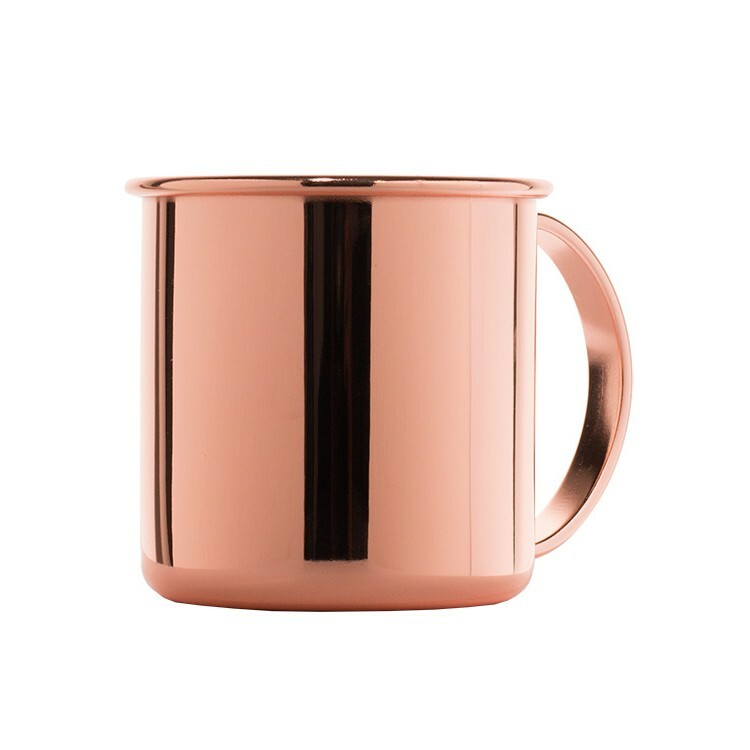 The ALANDIA Barware mug is made of stainless steel with a shiny copper plating. These mugs add professionalism to your bar and are also a great gift for any occassion. 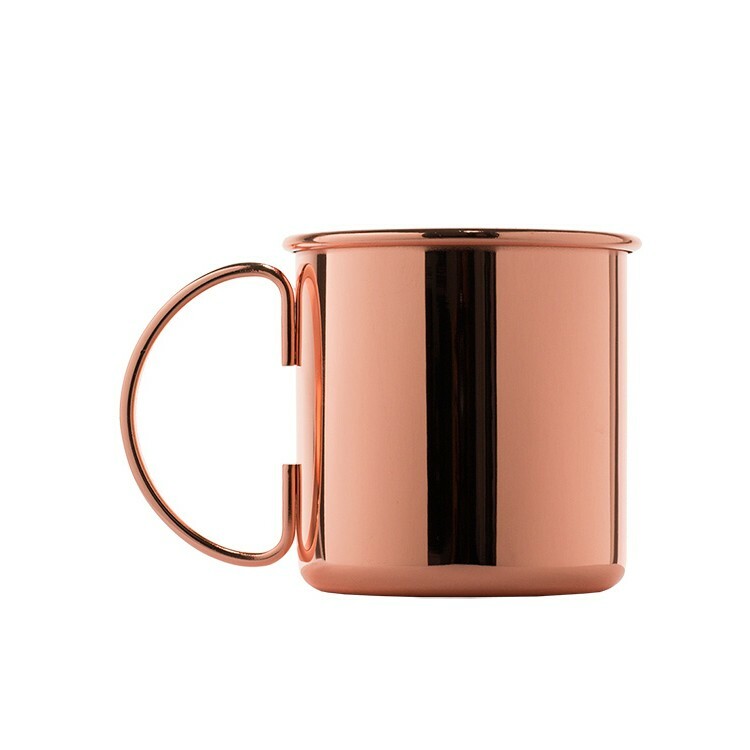 Mix up a classic Gin Mule, Moscow Mule or Gin & Tonic in this bright and shiny copper mug! 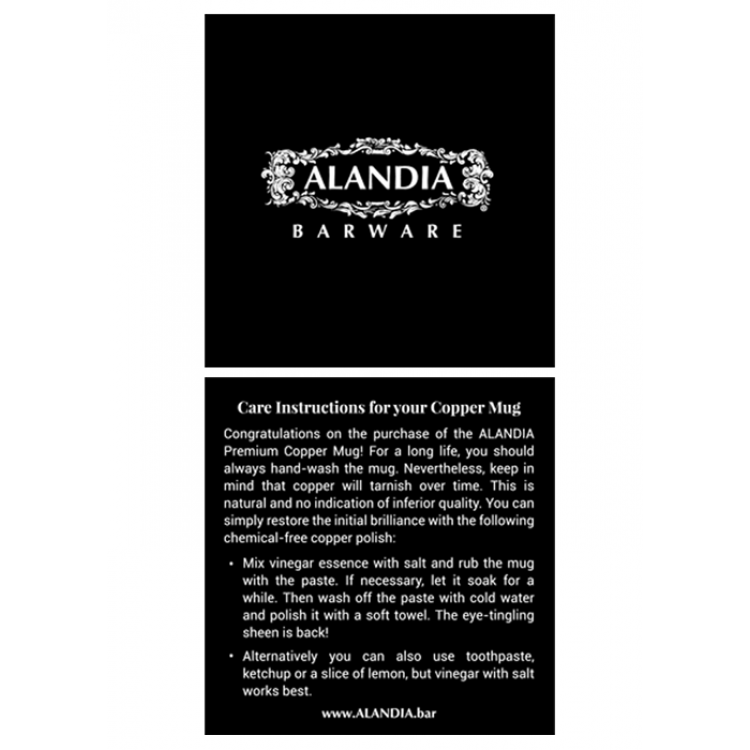 The ALANDIA Barware mug is made of stainless steel and has a beautiful shiny copper plating. For a premium appearance it is discreetly engraved in the inside with the Gin-Kingdom crest. We recommend to use this premium bar accessory with "THE ROCK" ice cubes. Due to their XXL-size one cube perfectly cools down your drink. Furthermore, the copper mugs are food-grade and come individually packed in a paper carton. Therefore they are also a great gift for any occasion! 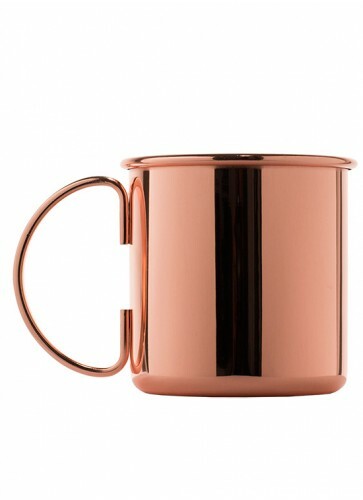 Please always hand-wash the copper mugs, then they will reward you with an extra-long life. Nevertheless, have in mind that copper will tarnish over time. You can simply restore the initial brilliance with cooper polish or alternatively toothpaste. 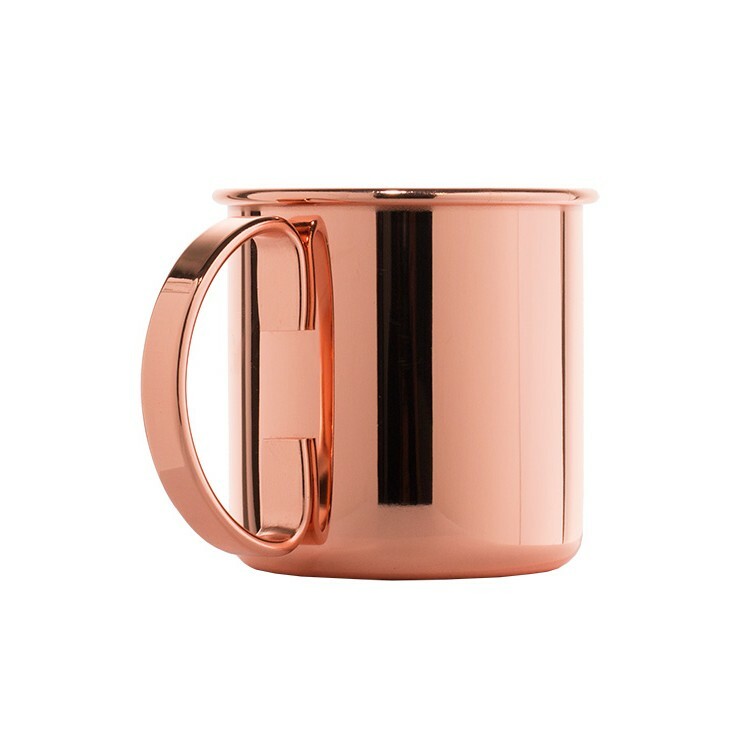 Overall, we are pretty sure that you will immediately fall in love with these copper mugs. We actually love them so much, that we use them meanwhile as well for drinking water and coffee :-). 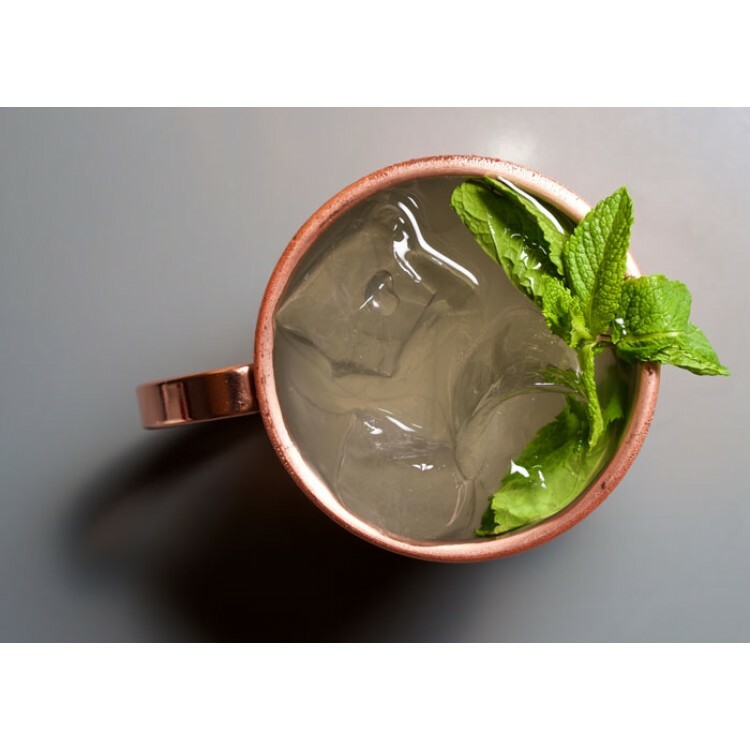 A Gin Mule or Moscow Mule is a refreshing drink that you can enjoy all year long: Fill the copper mug with ice, add 2 ounces of Gin (or Vodka for a Moscow Mule), half an ounce of lime juice and top it with ginger beer and a sprig of mint. The copper mug becomes chilly to the touch when filled with the iced beverage, which is an awesome haptic experience! 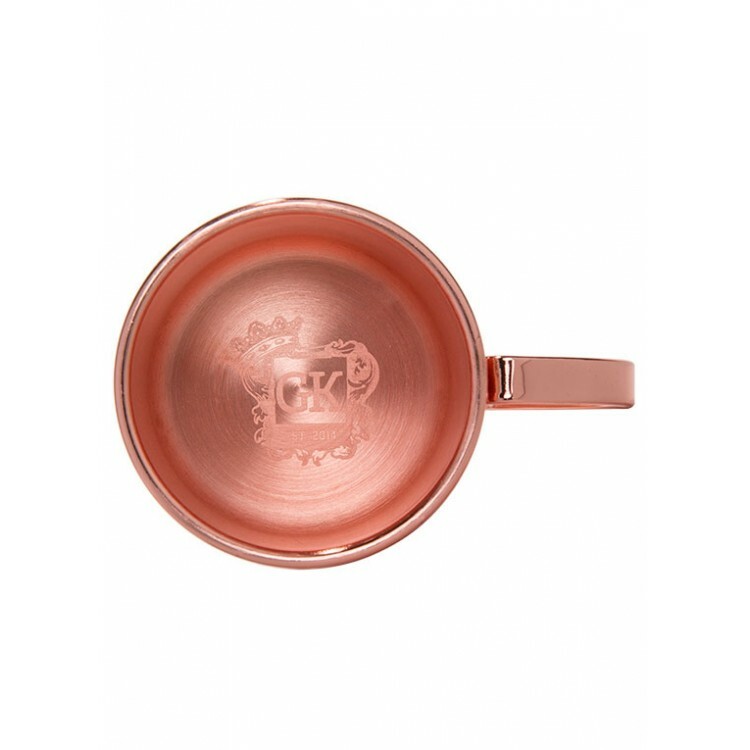 The copper mug is of course also ideal for enjoying a cool and refreshing Gin & Tonic or any other drink of your choice. A good Gin for a Gin Mule is for example Lucky HANS Bavarian Dry Gin.